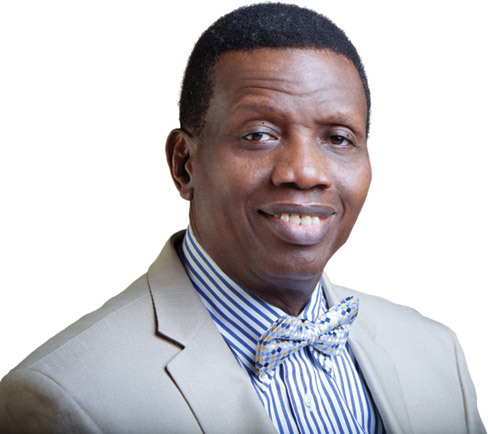 Recently I was inspired by what pastor Adeboye, the General Oversee of Redeem church said after he got an honorary doctorate degree from Obafemi Awolowo University (My grad schools!...LOL). He said he once witness a ceremony like this when he was in the school and he said one day he would also get the honorary degree. But his friends laughed at him and said OAU doesn't award just anybody the degree. But today he can say he got the honorary degree!...hmm maybe his friends weren't wrong anyway, we all know Pastor Adeboye isn't just anybody, So I guess the friends were actually prophesying without knowing. Anyway I learnt that just because we are friends, but you think you cannot achieve a thing doesn't mean I can't achieve it too. What have your friends said you cannot do, that you also believed you can't do? Let me add that this is one good reason why you should not seek anyone's validation before you take bold step in achieving your goals. A friend recently called me after a along time and after we chatted on the phone, he had a good laugh and said I have not changed. After I dropped the call, I smiled because my sense of humor might not have changed, I am still Tope Elizabeth but I know a lot has changed about me. I am a firm believer that no one but God have the final say over my life. Whatever we will be, we have become it in the spirit realm, it is will find expression into the physical realm. Even though pastor Adeboye now has lots of award and honorary degree from other reputable Universities, and anyone could have said it doesn't matter if he doesn't get one from OAU, but I tell you, that of OAU still came anyway to confirm that there is always a distinction in prophecies and dreams.